The Moto G4, Lenovo takes a bigger is always better approach with the screen size upping the display size to 5.5 inches from the more comfortable 5 inch display of the Precious two generations. The increase in screen size isn't the only thing that's changed about the display, the resolution has been given a needed bump to 1080p from 720p and is protected by Corning Gorilla Glass 3. The processors get a bump to Qualcomm's Snapdragon 617 octa-core processor from the Snapdragon 4xx used in the previous generations and is powered by a 3000mAh battery. 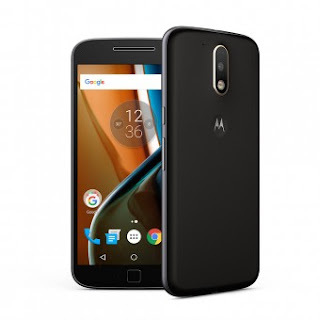 The Moto G4 Plus which is the "premium" model of the Moto G4 lineup differs from the others by the addition of a square shaped fingerprint sensor at the front of the device. Unlike the Samsung Galaxy S7 and HTC 10, it doesn't double as a home button. It also packs a 16MP camera as opposed to 13MP in the Moto G4, they both devices sport a 5MP front facing camera. 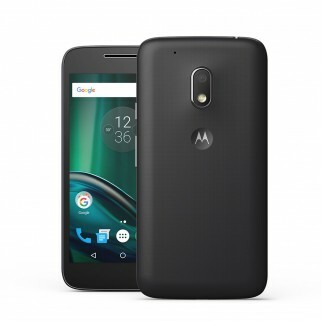 The Moto G4 Plus would be available in a choice of 2/3/4GB of RAM and 16/32GB of onboard storage which can be expanded via a microSD slot. 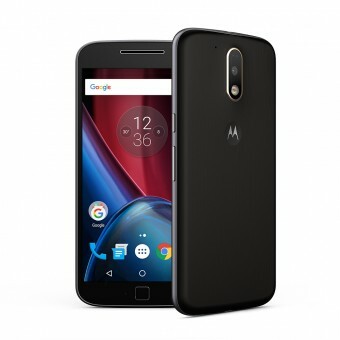 The Moto G4 Plus is expected to cost $200 (€180) for the base 16GB model, the price goes up to $225 (€200) for the 32GB model. The Moto G4 shares the same specifications as the Moto G4 Plus sans the fingerprint sensor, 16MP camera and a Turbo charger. The Moto G4 has it's RAM pegged at 2GB and is available in 16GB or 32GB versions. Moto G4 Play was the third device unveiled today, the device stays close to the budget specifications of the 3rd generation Moto G. The display size and resolution stays at 5 inches and 720p. Lenovo also uses a Snapdragon 4xx processor (410 in this case). The rest of the specs includes an 8MP/5MP main and front camera, 2GB of RAM, 16GB of onboard storage expandable via a microSD slot and a 2800mAh battery. All versions of the Moto G4 can be customised via the Moto maker website.